"The BBE Sonic Maximizer is one of the most amazing products on the pro-audio market today. I use BBE 882 Sonic Maximizers both live as a bass player on tour and in the studio as both a bassist and producer. "Speaking of own experience with the BBE 882, I have used this model Sonic Maximizer with such artists as: Aretha Franklin, Stevie Wonder, James Brown and many others. Since I was introduced to these BBE processors, I have started to notice how many of the other musicians and sound engineers are using Sonic Maximizers on tour. Everyone has their own story about how they were introduced to them, and It is always cool to hear how these guys can't live without them. Same with me. "For my live bass rig, I plug my favorite G&L L-2500 five-string bass (or my other G&Ls) straight into the unit to my Eden or SWR amp rig and the magic starts to happen. My settings on the BBE 882 are with the Lo Contour straight up at 12 o'clock and the Definition at about 9 o'clock. This setting gives my bass extra low end punch while really bringing the natural richness of the harmonics out front. I'm careful not to abuse the BBE, and I find these settings to be just right for my taste. It's just that the BBE has more range to it than I need for my bass rig, but it's good to know it's there in case I have to DI my rig into a house sound system that might not give me as much clarity on the high end as I want. If that happens, I can just dial up the BBE a bit higher and there's my tone again. "As a professional bassist and producer, I can honestly recommend a BBE Sonic Maximizer to any bassist looking for more clarity punch punch from your bass rig. If you want to improve the sound quality of your touring sound system or just put some extra sparkle and definition into your studio mixes, the BBE will make your music come alive like nothing else you've ever experienced before. Simply put, if you want to take your music to the next level, you've got to get a BBE Sonic Maximizer." Kevin was born in Compton, California, to loving parents and a talented family whose roots were in the musically diverse cities of Chicago and New Orleans. Kevin began playing musical instruments very early in life, beginning with his sisters’ piano at only four years of age. By the time he reached 7 years, the gifted boy took up his brothers’ saxophone, already seeking to broaden his musical experience and experiment with new tonal textures. Shortly after his 9th birthday, his father suggested that Kevin choose a musical instrument for himself - this time it would be his own. His musical family already knew Kevin had an exceptional gift for making music, and his older brother suggested that Kevin play bass, and perhaps because his brother's band needed a bassist. Kevin was a quick study, and his brother knew it wouldn't long before Kevin could fill the bassist position in the band. For Christmas of his 9th year, Kevin got his first electric bass; an inexpensive St. George brand bass bought from a swap-meet. His brother taught him the basic technique and playing position, then Kevin took it from there. Kevin listened to various musical styles from Nat King Cole, Frank Sinatra, big band swing, classical, rhythm & blues, soul and rock. Soaking up these varied musical styles, the young Kevin could already began to understand the similarities and differences, mentally noting the musical roots of each genre and soon began experimenting with how he could expand upon them. During Kevin's childhood, there were no stereo Hi-Fi systems, stereo sound or digital technology as we enjoy today. There were only turntables and vinyl records available. Since the quality of monophonic recordings and sound reproduced through home sound systems of the day offered such low fidelity, much of the bass notes and lines were difficult to hear. Undeterred, Kevin placed his ear over the turntable's tonearm as the record played so he could hear and learn the bass notes for songs he would then play in his brother's band. Continuing to expand his musical horizon, at 13 years of age Kevin began formal musical training on flute. Soon after Kevin also took up the acoustic ("stand-up" or "double") bass, on which he continued progressing throughout High School. However, the electric bass, and his position in his brother's band, continued to be the focal point of his musicianship. At Pious the Tenth High School, Kevin learned to read music on both flute and acoustic bass. The flute required him to learn to read in the treble clef while the acoustic bass required learning to read in bass clef. By this time, Kevin knew he wanted to make a career in music, and immersed himself in both the technical and historical aspects of music. He studied harmony, 20th century western music, counterpoint and other music courses in his quest to enrichen his knowledge of music, as much as was available at his high school. Kevin sought out avenues to perform before a live audience, performing regularly with the prestigious all-city Pico Rivera Stage Band, the most respected big-band in the Los Angeles school district. This gave him considerable experience and understanding of the bass player's role in a big band. The band won numerous awards with Kevin holding down the rhythm section, and even won the Hollywood Bowl Competitions for 3 consecutive years. The band director clearly recognized Kevin's talent and chose to spotlight him, resulting in Kevin receiving a Jazz Soloist Award at the Orange County Jazz Band Competitions. After graduating from Pious the Tenth High School, Kevin earned a full scholarship to the University of Southern California; however, his love for jazz prompted him to forego the USC scholarship. Instead, he opted to attend Cerritos and Long Beach Colleges, well known and respected in the Los Angeles music community for their high quality jazz programs. Kevin's passion to play professionally, coupled with an an opportunity to play in the prestigious Tommy Dorsey Orchestra, relocated him to New York City. After his stint with Tommy Dorsey, he returned to Los Angeles and his classical acoustic bass training, studying under renowned bassists David Borkenhagen, Nathaniel Gangursky and Ami Porat, before becoming the protégé of Barry Lieberman of the Los Angeles Philharmonic Orchestra. While performing with the Bellflower Symphony Orchestra, Kevin finished his education at the University of Long Beach. As his career escalated, Kevin has become a premier bassist on the music scene, known and respected for both his technical brilliance and innate musicality. 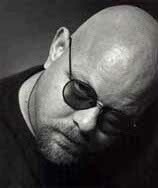 Today, he has found considerable professional success and personal fulfillment working with many of the world's top recording artists, entertainers and musicians, and enjoying dual roles as producer and bassist in a myriad of events within the music, entertainment, television and film industries.